Returning for its fourth year, Drexel University’s Welcome Week was once again a big hit with new students. 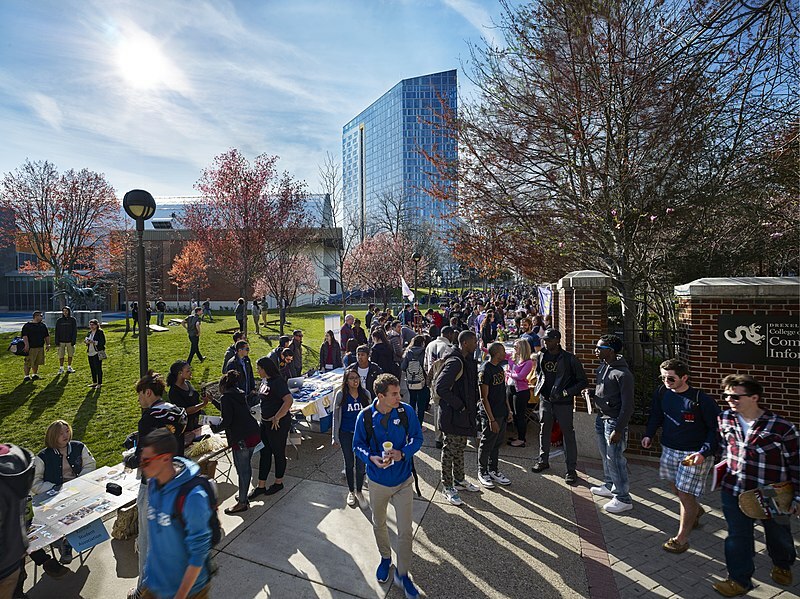 Welcome Week, which replaced the summer new student orientation program in 2015, is full of activities geared towards preparing incoming students for success at Drexel. This year’s Welcome Week highlights included Night on the Row, the Franklin Institute kick-off event, first bash carnival and various trips to locations around the city. The Triangle spoke to several freshman students about their experience. Every student had positive experiences to share, with the overwhelming favorite being the kick-off event at the Franklin Institute. The event, hosted by Drexel to officially begin Welcome Week, gave new students the opportunity to mix and mingle with each other with music, dancing and the entirety of the Franklin Institute to explore. The whole building was rented for the night, giving attendees full reign over it. Following the kick-off event, students returned to campus for the first bash carnival, which included laser tag and bubble soccer. Some students, like freshmen Anthony Dimaio and Jacob Kopolovich, moved in earlier than most to attend a two-day class on material science. Dimaio noted that he thought it was a great idea to have students move in a week early to attend events before classes begin. Another new student, Ellie Herman, said she had a great first week and is loving Drexel so far. She said that Welcome Week had so much going on it actually felt more like a whole month. One freshman, who came to Drexel from Bangladesh, was happy with how welcoming and helpful everyone was towards him. One of his favorite events was Night on the Row, which he attended with some of his new friends. Although he’s not sure if he’s going to rush any fraternities at this point, he said he wanted to just go check it out. Some new students said that although they thought Welcome Week was great, Drexel didn’t do as good of a job at feeding them. Meal plans for the term did not work for Welcome Week and students had to rely on meals provided at set times. With Welcome Week concluded, the freshmen are now completing their first week of classes and getting ready for the rest of their first year.